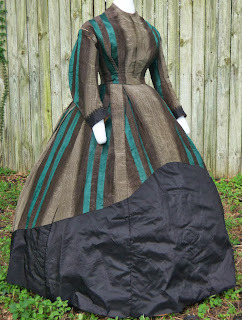 All The Pretty Dresses: 1860's Striped Dress! 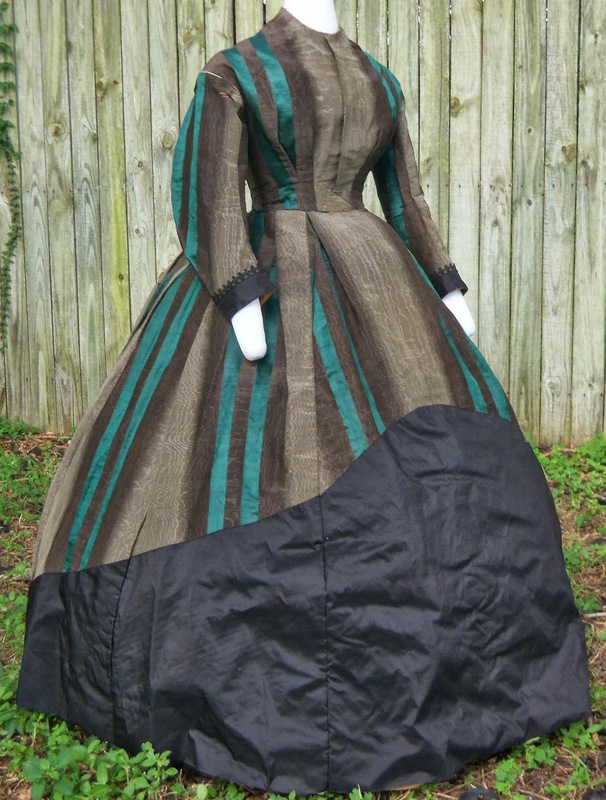 This auction is for an original Lady's Day Dress from the Civil War period. 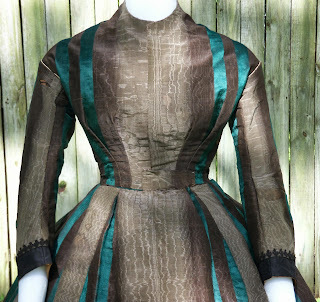 Its fabric is a gray and charcoal silk moire striped in a Jewel-like Green. 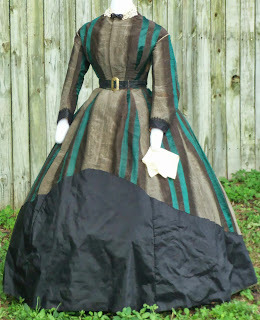 The dress is trimmed with black silk taffeta on the skirt and cuffs. 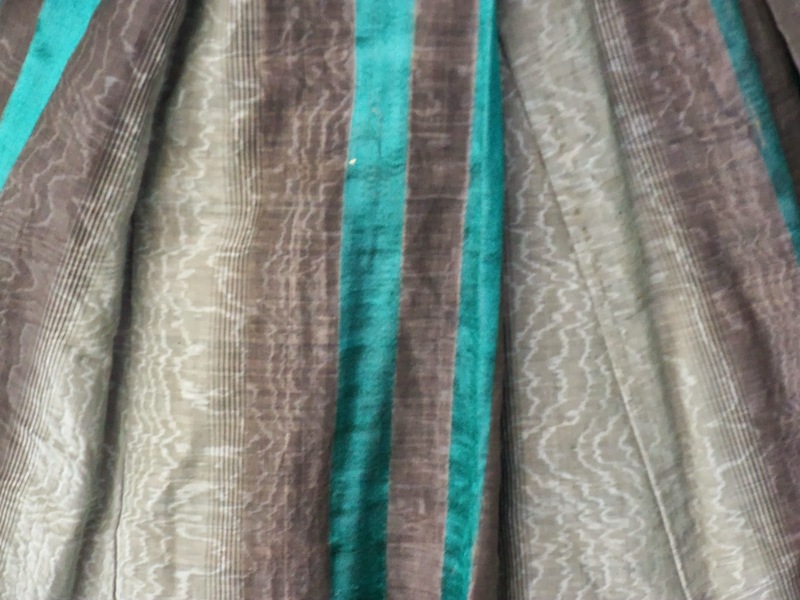 It closes at center front with most of its original hooks and eyes. The skirt is gored with pleats on the hips and cartridge pleating across the back waist. Its arm holes and waist are piped. The dress is shown with original accessories which are not included. Condition is structurally fair to good. 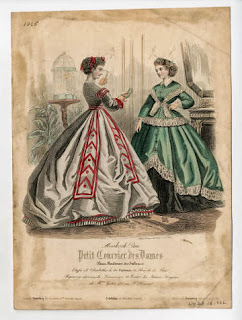 It is strong enough to be displayed. In addition to some stress tears and discoloration, damaged portions of the skirt had been cut away leaving huge missing chunks. 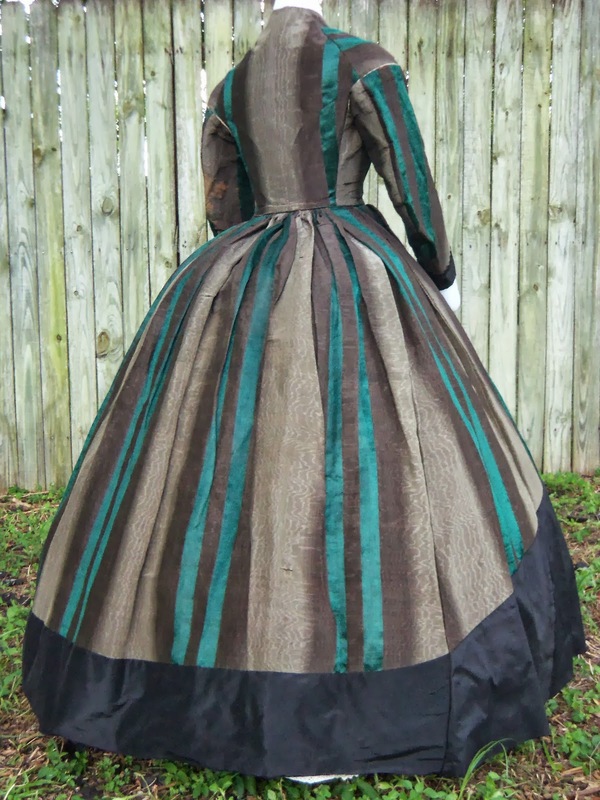 Restoration included adding black silk in a manner consistent with period designs to recreate the original proportions on the skirt panels. 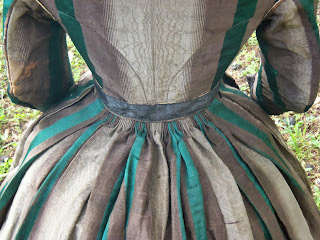 Brown cotton lining was used on the inside of the silk. A small amount of the original silk was used to restore the sleeves. The original pleats and skirt length are intact. 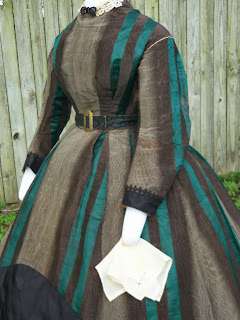 Measurements are: The bust is 34 inches & the waist measures 24.5 inches. The length of the skirt is 40.5 inches. 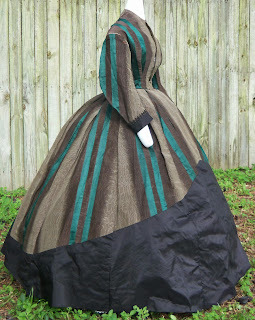 So this dress, if it is from the American Civil War, is from the VERY tail end.